One of Spain’s most famous regions, Jorge Ordóñez heavily pioneered the introduction of Ribera del Duero into the United States in the late 1980’s and early 1990’s. A region that once represented tremendous value, due its historic plantings of very old, head trained Tinto Fino, which is the local clone of Tempranillo. However, as it gained popularity in the international market, Ribera del Duero suffered from a trend that permeates much of Spain – the loss of authenticity and commercialization of its most important producers. 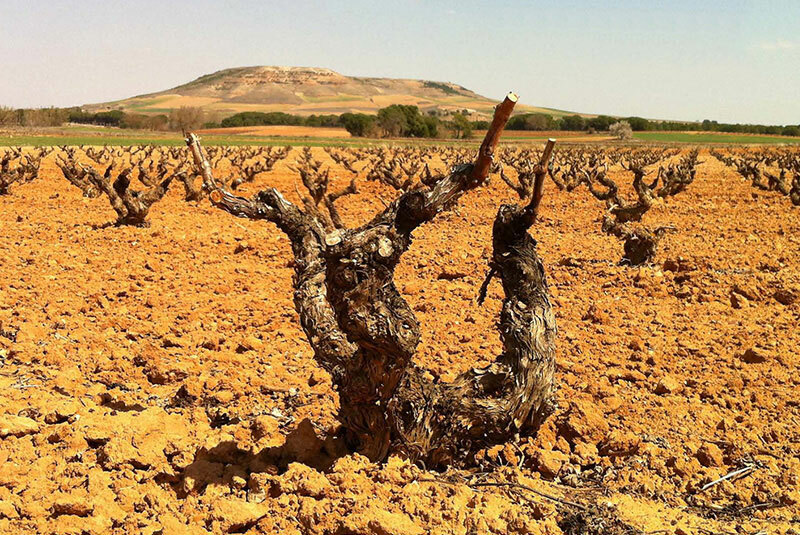 As prices skyrocketed, most producers uprooted their spectacular decades old head trained vineyards of Tinto Fino and replanted with commercialized, higher yielding clones of Tempranillo, and international varieties. Most of these younger vineyards are planted on trellises, many of them with irrigation to boost yields. Ribera del Duero’s quality lies in its local clone of Tempranillo, which is perfectly adapted to the region’s alluvial soils and extreme continental climate. The Duero river is perhaps the Iberian peninsula’s most important river in terms of its impact on local viticulture. Several thousands of years ago, the river was several hundred miles wide, and deposited alluvial soils characterized by varying levels of clay, sand, and stony pebbles across this northwest corner of the Spanish central plateau. Its location at such high altitudes result in drastic temperature swings between day and night. These conditions are crucial for the cultivation of Tempranillo, which is a very early ripening grape, that can lose balancing acidity over the course of a few days after phenolic ripeness is achieved. The rustic conditions of the original clone of Tempranillo planted in the region, Tinto Fino, produce a darker, more tannic, more structured and intense expression of Tempranillo that what is typically found in other Spanish regions.